Mexican Skillet Pie – Layered with tortillas, homemade enchilada sauce with black beans and corn, then topped with taco-seasoned shredded chicken! Will become a new favorite the whole family will enjoy! With Cinco de Mayo being right around the corner, I have a special treat for you. Not a treat as in a delicious dessert, but pure comfort food. It’s easy, it feeds quite a bit – we have been munching on it all weekend now. We still have some leftover that is going straight to the freezer. 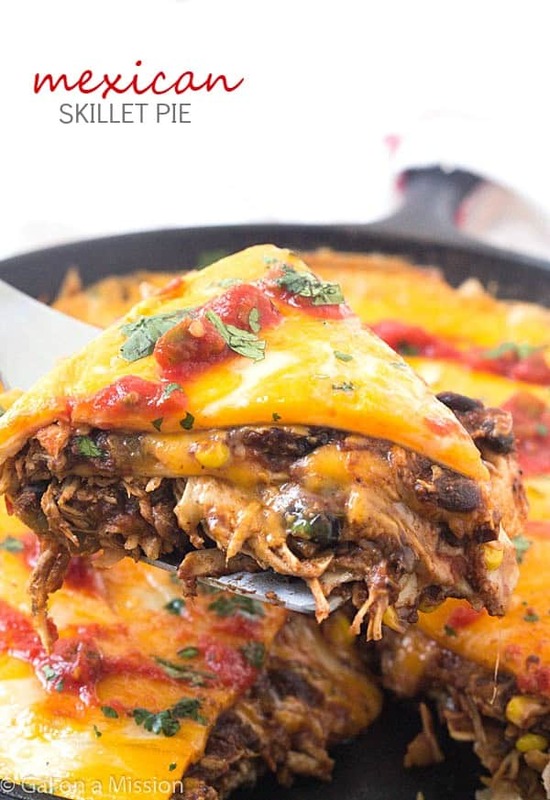 This scrumptious mexican skillet pie is layered with tortillas, homemade enchilada sauce with black beans and corn, taco-seasoned shredded chicken, and then layered with another tortilla. Not only is it really easy to put together, all of the layers are easy to make, as well. I cannot say how much I love easy recipes. If you are on a time-crunch during the weeknight, you can always prepare the homemade enchilada sauce before. It’s great when it sits overnight and it allows the flavor to blend together. For a year now, I have been getting my chicken breasts through Zaycon Fresh. If you haven’t ever heard of them before, I am telling you now…you are missing out, my friend. Their chicken prices always beat my local prices and the quality is excellent. Their chicken breasts do come in a 40 pound case. The day we receive it, we always wash and bag it in the freezer. That typically lasts us anywhere from 6 months to 1 year. Right now they have sales going on, check to see if they are coming to your area! It’s the best chicken I have ever had. 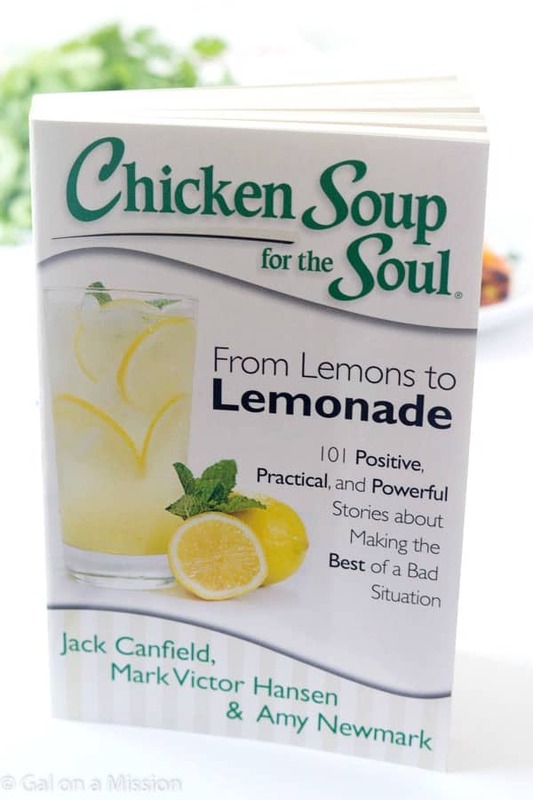 They recently partnered with Chicken Soup for the Soul and I received multiple products from them. I received a mug, chicken broth, a meal builder sauce, barbecue sauce, 2 apron sets (so my hubby can cook with me! ), and a chicken for soul book. All of the products are excellent and the meal builder sauce is excellent for a busy, weeknight dinner option! Right now you can purchase their products through Zaycon Fresh and you will receive it when you pickup your chicken or it will be mailed directly to your home. 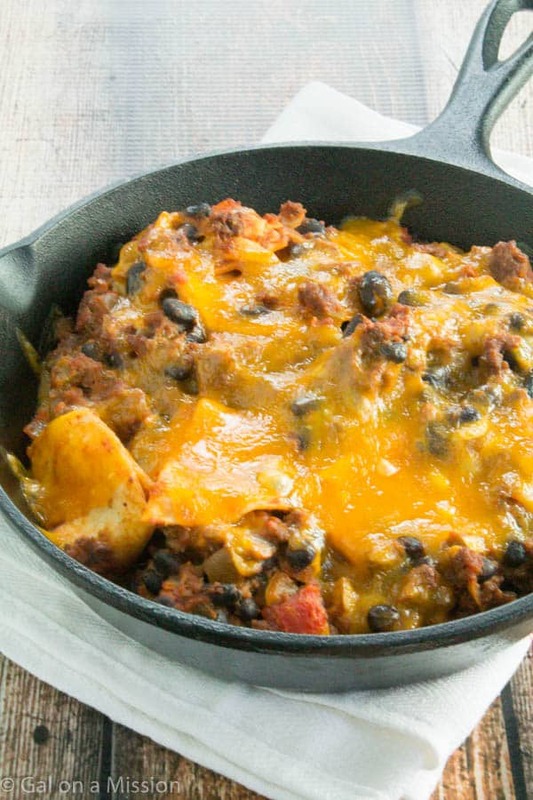 For this recipe you want to make sure you have a 12-inch skillet and 12-inch tortillas. Preheat oven to 350 degrees. Grease a 12-inch skillet. Set aside. Mix together the homemade enchilada sauce, black beans, and corn together. Set aside. In another skillet, add the shredded chicken breast, taco seasoning, and chicken stock. 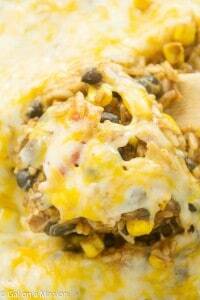 Cook over low-to-medium heat until the chicken is warm and the taco seasoning is mixed with the shredded chicken. Set aside. 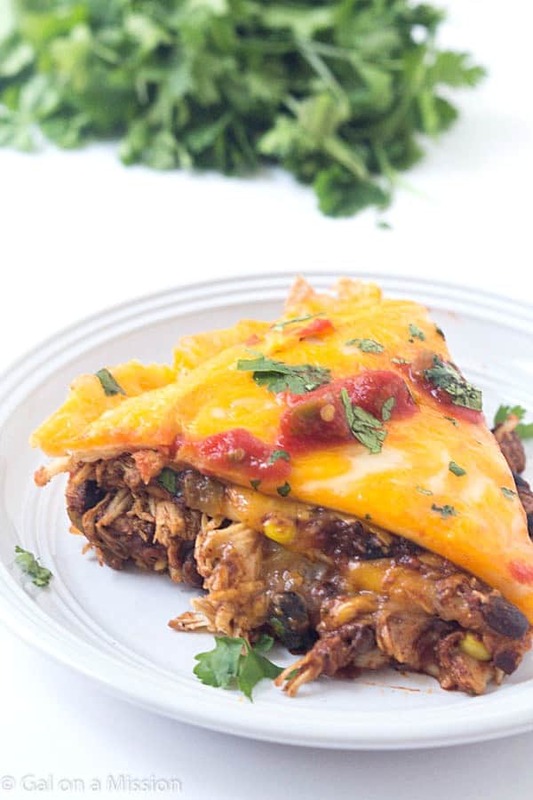 Place one tortilla in the bottom of the skillet, add the enchilada sauce mixture, top with shredded chicken, and add a little bit of cheese. 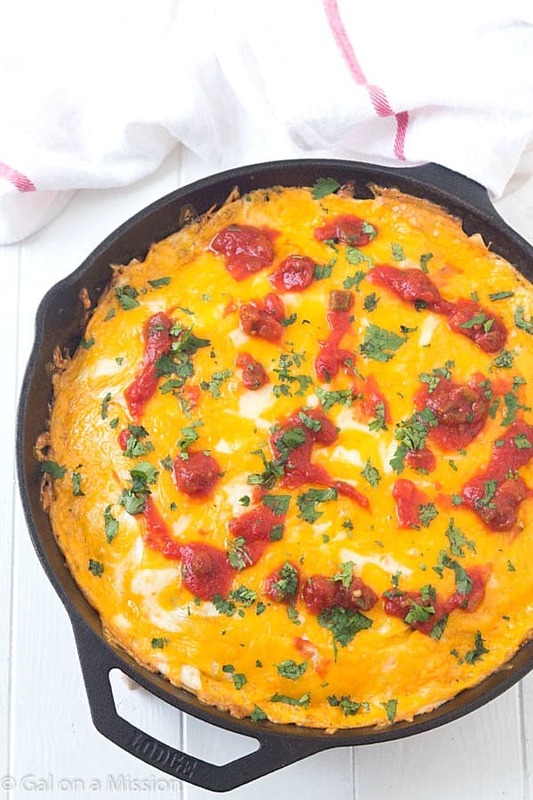 Repeat until all of the ingredients have been used, remembering to end with the tortilla and cheese on top. Bake for 30 minutes or until the cheese is bubbly on top. Remove from oven and allow the pie to cool for 10 minutes. This also allows the pie to set and not fall apart. 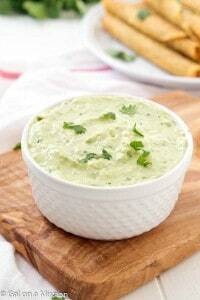 Serve with salsa, sour cream, and cilantro on top.